Welcome To The Napa Solano Dental Society! The Napa Solano Dental Society is a professional association of dentists that is committed to the enhancement of the oral health education and dental welfare of the public. 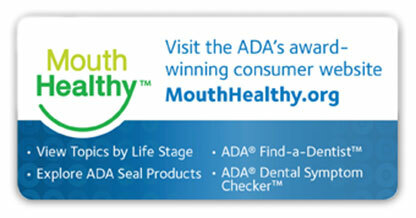 We are a local component society of the California Dental Association and the American Dental Association. Services: The Dental Clinic staff provides emergency dental services, children's dental services, diagnostic and preventive dental services, essential dental serives (fillings, root canals, oral surgery), and comprehensive restorative dental services (dentures, crowns). The clinic provides referral services for orthodontics and tooth implants. Cost: Sister Ann charge for services on a sliding fee scale, which is based on family income. In order to qualify for the sliding fee discount, you must bring proof of income to your first appointment. 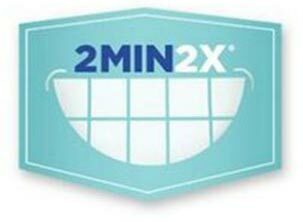 Insurance: Sister Ann accepts Denti-Cal for patients to 21 years of age, CMSP, Health Net Liberty Dental, Healthy Families, Kaiser Kids and PMI Dental. Hover over a subject for more information. Click to download it’s PDF. AmalgamDental amalgam has been studied and reviewed extensively, and has established a record of safety and effectiveness. Bad Breath There are many reasons for bad breath. Mouth odor, also called halitosis, is a common condition and sometimes a source of embarrassment. Cosmetic DentistryIs something keeping you from smiling? It could be that whatever it is can be fixed easily and relatively painlessly. Dental Benefits/Insurance Learn the difference between dental and medical care. Dental DecayCavities are preventable and caused by certain types of bacteria (germs) that live in your mouth. Find out how to help prevent them. Dental Implants Dental implants offer a way to have artificial teeth that look natural and feel secure. Dental TeamLearn who the members of the dental team are and what each member is responsible for. Dental Tourism “Medical tourism” refers to patients traveling abroad for the purpose of obtaining non-emergency health care. “Dental tourism” is a subset of “medical tourism,” and is growing in popularity as an alternative for patient care. A key concern is the consistency of the quality of care provided in other countries. Dentures Replacing missing teeth benefits both your health and your appearance. Dry MouthXerostomia (zē′rō-stō′mē-ă) is the medical term for a dry mouth due to lack of saliva. Early Childhood Caries It is now recognized that mothers, or main caregivers, are the most common source of transmission of decay causing bacteria to their infants. Emergencies Learn what to do now in case of a dental emergency later. There are simple steps and urgent timeframes that need to be kept in order to heal properly. Fluoride Everyone can benefit from fluorides ability to help prevent tooth decay. Learn the products that provide fluoride and why its good for your teeth. General Anesthesia and Oral Sedation Learn the definitions for the different types of analgesia and sedation. Grills“Grills,” “grillz,” or “fronts” are decorative covers often made of gold, silver, or jewel-encrusted precious metals that snap over one or more teeth. Grinding of Teeth Its called bruxism; and if the daily grind is wearing on you, you may find that you are more susceptible to it. Gum Disease Learn what could be lurking beneath your gumline. A little knowledge can keep you out of pain. Meth MouthMeth Mouth is a name for advanced tooth decay related to heavy methamphetamine use. Mouthguards They aren't mandatory in all sports, but maybe they should be. Losing is tough enough, be sure you don't lose a tooth! New Moms Here are some answers to some of the most frequently asked dental health questions relating to pregnancy, infants, toddlers and children. Nitrous OxideNitrous oxide (N2O), aka “laughing gas,” is a gas that, combined with oxygen, is sometimes used during dental treatment to ease anxiety. NutritionThe food you eat directly affects your general health and your oral health. Oral Cancer As with every form of cancer, prevention and early detection are essential. Oral Health A thorough oral examination can detect signs of nutritional deficiencies as well as a number of systemic diseases, including infections, immune disorders, injuries and some cancers. Oral Piercing Are there risks to getting an oral piercing? What if I already have oral jewelry? OrthodonticsDo you need braces? Learn how orthodontic problems are corrected. Patient Records You are entitled to a copy of your patient records, according to state law. Peer Review If you are unhappy with the quality of the dental treatment you receive, or you think you may have received treatment that was inappropriate, you have some place to turn. PregnancyPregnancy is a time to pay extra attention to your dental health. Some research suggests that serious gum disease (periodontal disease) is linked to premature birth and low birth weight. Preventive Care Prevention is the key to keeping your teeth healthy and your smile beautiful for a lifetime. Receding Gums Receding gumline could be a sign of periodontal disease, the culprit in 70 percent of tooth loss cases for those over 40 years old. Sealants Sealants can be useful in cutting down formation of decay. An application of sealants is a preventative measure to keep teeth healthy. Seniors There are special considerations that need to be addressed as people mature. This fact sheet explains what specific changes take place and how treatment and preventive methods may need to change with time. Smokeless Tobacco If you use smokeless tobacco, or have in the past, you should be on the lookout for some early signs of oral cancer. Whitening Learn why teeth discolor and if whitening can help. Wisdom Teeth Learn what wisdom teeth are and why most people need them removed. X-rays X-rays assist the dentist in determining the presence and degree of dental cavities, periodontal disease, abscesses and abnormal growths, such as tumors or cysts. In addition, they show the location and condition of impacted or unerupted teeth. Xylitol Xylitol is a natural sweetener with decay-preventive qualities.